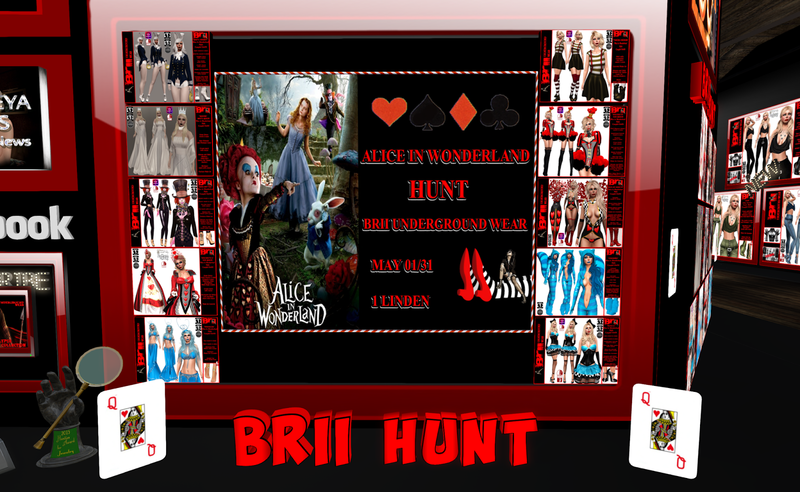 This month, Brii Underground Wear brings you Alice in Wonderland Hunt. And because Alice in Wonderland is one of Kitty's favorite (Yes, nice guess, her next favorite is Alice through the Looking Glass), Kitty is going to show the nice gift which are all at $1L, if you can find them! Well, you can bet that Kitty will be trying some of these out for you REAL soon! Due to a store revamp, only item 1,2 and 10 can be found as of now. All hunt items are up an running.